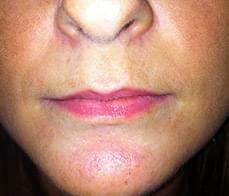 Lip enhancement provides a fast and effective way to improve the appearance of lips. Whether you want to restore youthful plumpness, or add volume, we will tailor the delicate proportions of filler required to give you your desired result. Filler can be used in a number of ways, correcting asymmetry, increasing fullness and definition and helping to hide the telltale creases brought about by sun or smoking. I recently had lip fillers in Auralia and I am delighted with the results. I had such a quick response to my enquiry, the staff were very helpful and I had a date booked for me within minutes. I had a consultation with Dr. Salman who was very pleasant and talked me through the whole procedure in detail. I can't tell you how pleased I am with the results and I would definitely recommend this clinic to others! 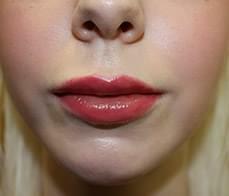 The vast majority of temporary lip enhancement is carried out using fillers. These injection treatments can add volume and definition, enhance small or thin lips, balance our asymmetric lips or reduce the appearance of those fine, vertical lines. There are some surgical forms of treatment which have permanent effects. This includes a form of surgery known as ‘Fat Transfer’ whereby a surgeon takes spare fat from parts of the body that do not require it, such as the buttocks, and then either injects or surgically places it into the lips. While fat injections last slightly longer than normal filler, a lip enhancement using fat injections can be more unpredictable, resulting in lumping and scarring. A permanent, low-risk solution for lip augmentation involves the use of Gore-Tex material, which the human body seems to tolerate well, but lip augmentation by these means may not be the best idea for someone who is only experimenting with lip augmentation. Someone in that position may prefer to start out with collagen to see how lip augmentation could affect them. All consultations are private one-on-one sessions that normally last 15-20 minutes. Your Doctor will talk you through the procedure, any concerns you may have your expectations of the results. What is involved with Lip Fillers? The filler is injected into precise areas to achieve the desired look adding volume and definition. 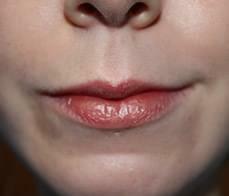 Following the procedure, the lips can become swollen for a couple of days. Top up treatments might be required to achieve the desired look. What is the recovery after Lip Fillers? 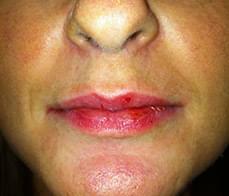 Patients can experience sensitivity, swelling, redness or bruising to the lip area. As with all treatments, it is advisable to consider recovery and any social events. Your Doctor will advise if there is anything you need to avoid following treatment such as makeup, strenuous exercise, extensive sun or heat exposure. If you are prone to cold sores on the lip area, you might experience an outbreak following treatment. Injections may cause some discomfort during and after the injection. Your Doctor will use a fine needle and discuss any anesthesias that can help to reduce discomfort . Although many patients apply makeup following procedures, you should discuss this with your Doctor to reduce the risk of infection to the treated area.. Patients can expect some swelling and bruising. Your Doctor will advise on a number of steps to follow to minimise this.